Germany has long been acknowledged as an airgun industry leader, and that's why Diana guns have a faithful international following of hunters, plinkers and field target shooters. 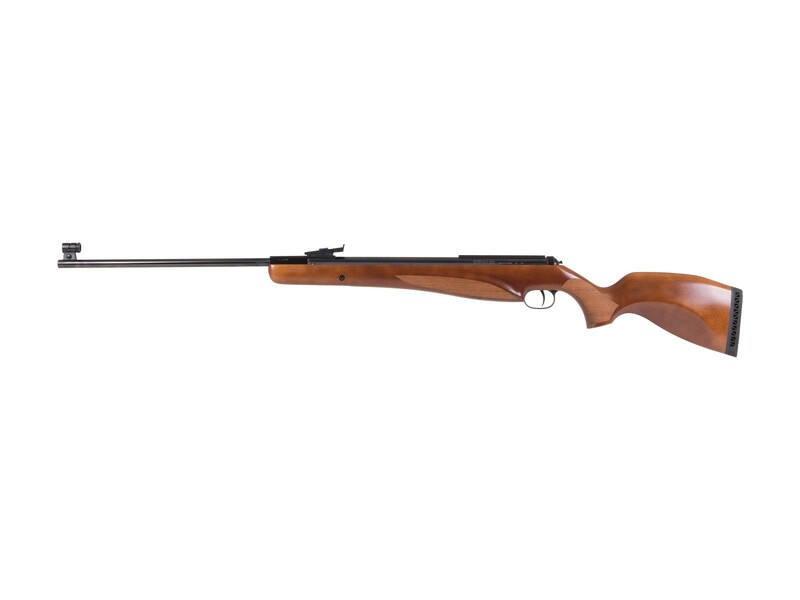 Your Diana 350 N-TEC powered Magnum Premium air rifle will deliver years of faithful service. 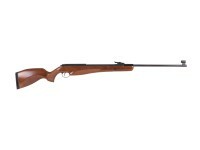 This model is ambidextrous and delivers stunning power along with notable accuracy. 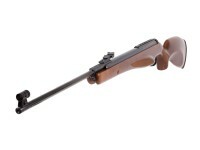 The handsome stock has checkering on the grip and forearm for added shooting comfort. If you like precise sporting rifles, get a Diana. If you like beautiful wood and rich bluing, get a Diana. If you like dependability, get a Diana. 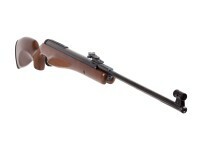 Mount a good-quality scope on your new Diana air rifle to maximize accuracy. Can the UTG 3-9X40 1" Hunter Scope be mounted on this rifle? Why not? just make sure you have dovetail rings. Anyone know the pellet weights used to determine the published velocities? The publish velocity of 1,000 fps gives 8.884 fpe with a 4 grain alloy pellet, yet with an H&N 21 grain Pile-Driver it gives 46.642 fpe; in other words, does anyone have any chrony values with the weight of pellet used? If you watch the video review linked on the page, you'll see that 10.3 grain pellets were running around 960 fps. So that 1000 fps mark was definitely achieved with lead. Is there any way of adjusting the piston internal pressure to vary the FPS to suit different needs (Hunting to Target)? This is one thing I really like about my Weihrauch HW90.